Keeping our schools safe from the threat of violence is a top priority for teachers, parents, students and lawmakers. 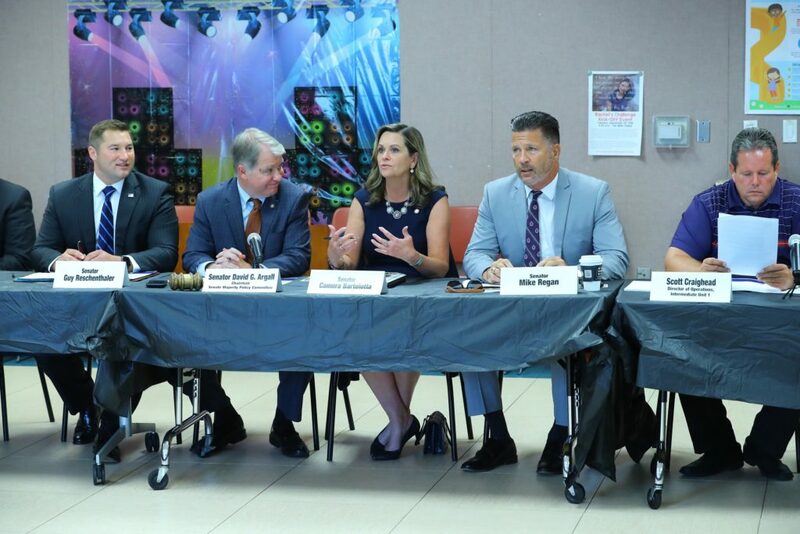 Last week, the Senate Majority Policy Committee held a roundtable discussion in McMurray to highlight the region’s concerns and explore ways to make schools a safer environment for children to learn and grow. The conversation centered on the bipartisan school safety bill that was signed into law earlier this year, and how the additional $50 million in school safety funding in this year’s budget can be used to safeguard local schools against violent incidents. The discussion also helped identify additional school safety proposals that should be considered when the General Assembly returns to session next month. I appreciate the school district administrators, law enforcement officers, statewide association members and other participants who took time out of their busy schedules to participate in this discussion. I look forward to working with my colleagues in the weeks and months ahead to identify more ways to keep our children safe. The roundtable discussion is one of several meetings that are scheduled in communities throughout the state this summer. More information on the school safety meetings is available online at www.pasenategop.com/school-safety. Thanks to everyone who came out to share their perspectives on school safety during our roundtable discussion at the Peters Township Public Library. County fairs are one of the biggest attractions of the year for many communities here in southwestern Pennsylvania. 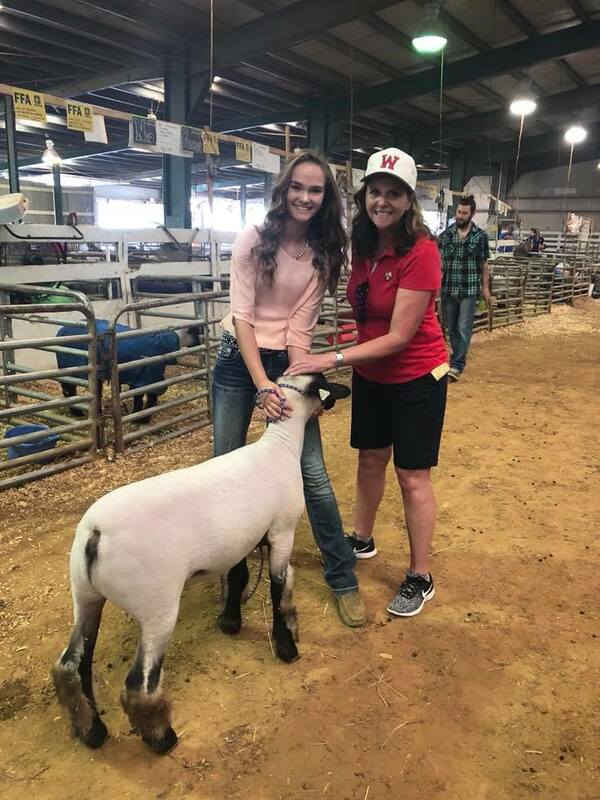 I enjoyed all of the festivities at the Greene County Fair last week, and I look forward to meeting many more community residents this week at the Washington County Agricultural Fair, which runs from August 11 through 18. A complete schedule of events during the fair is available here. The latest edition of my “Focus on the 46th” TV program also details some of the exciting and educational attractions available for fair visitors. I enjoyed making some new friends at the Greene County Fair! Learn more about this exciting event by checking out my “Focus on the 46th” show here. Beginning in October 2020, Pennsylvanians will need a new kind of driver’s license or photo ID to board commercial airlines or enter federal buildings, including courthouses and military installations. The new requirements are mandated by the federal government as part of the REAL ID law, which was intended to improve homeland security. Beginning in the spring of 2019, state residents will have the option to purchase a new type of REAL ID-compliant driver’s license that will be accepted as valid identification at airports, federal facilities and military bases. More information about REAL ID, including how to pre-verify to receive a REAL ID-compliant license or photo ID card, is available here. A portion of Pennsylvania’s gaming revenues are designated to support community and economic development projects in host counties. Washington County’s Local Share Account program was established to help distribute this funding in the form of annual grants to local governments and economic development agencies to support projects that are critical to the region. The deadline to apply for grants is October 3. Interested applicants can learn more about the program through a series of workshops that are scheduled on August 20 and 21 in Donora, Canonsburg and Washington. 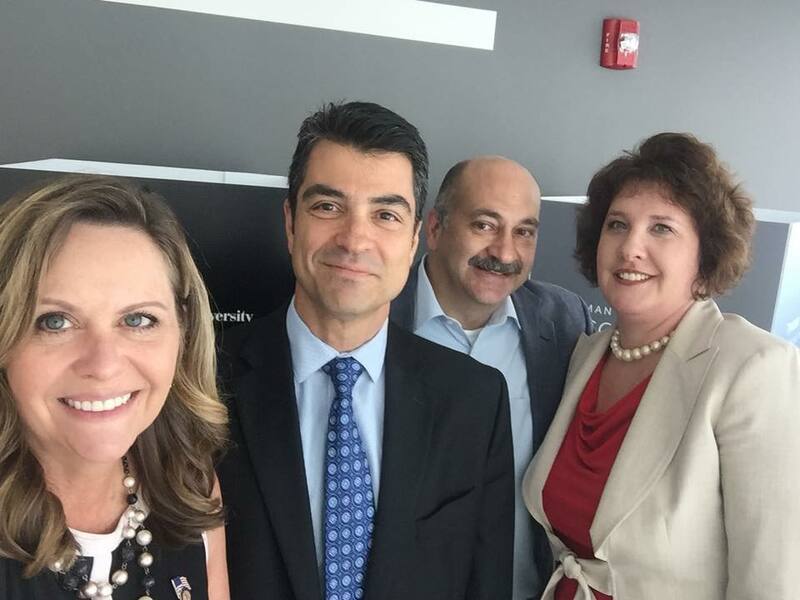 August 20, 2018 – 10:00 a.m.
August 21, 2018 – 2:00 p.m.
August 21, 2018 – 5:30 p.m.
My thanks goes out to the incredible staff of Carnegie Mellon University for inviting me to tour the campus and learn more about the opportunities offered by the College of Engineering. The Pennsylvania Historical and Museum Commission recently announced approximately $3 million in tax credits to aid in the rehabilitation of properties and structures that hold special historical significance. One of these tax credit awards will benefit our area and leverage nearly $1.3 million in investment. A $100,000 tax credit was awarded for the rehabilitation of the Washington Trust Building, a bank and office building that is listed on the National Register of Historic Places. The rehabilitation project will help return the property to productive use for both commercial and residential purposes. 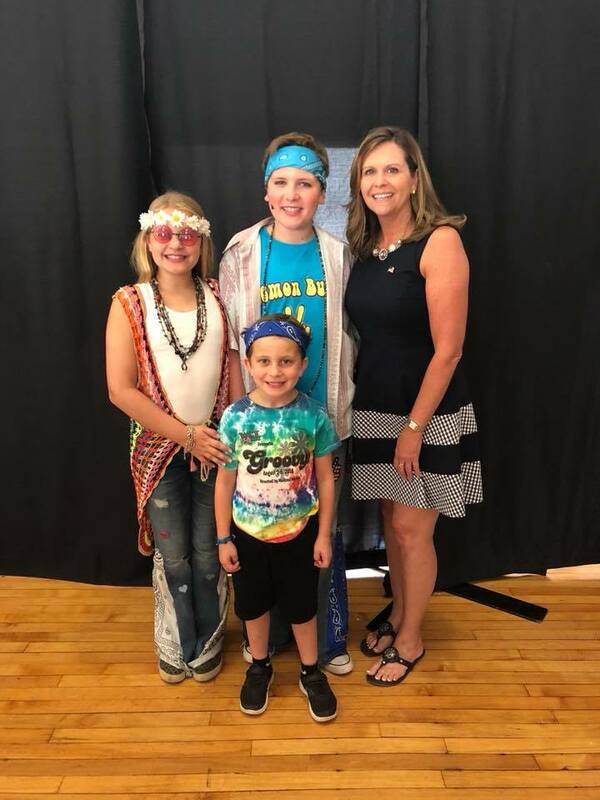 Congratulations to the cast and crew of the Washington Community Theatre Kidz musical “Groovy! A Musical Comedy Tribute to the 1960’s” for putting on an amazing show! Volunteer fire and EMS companies can apply for state grants for construction projects, equipment purchases, training and debt reduction beginning next month. The application period for the Fire Company and Emergency Medical Service Grant Program is expected to open in September. More details on the program, including application guidelines, are available online at www.osfc.pa.gov. 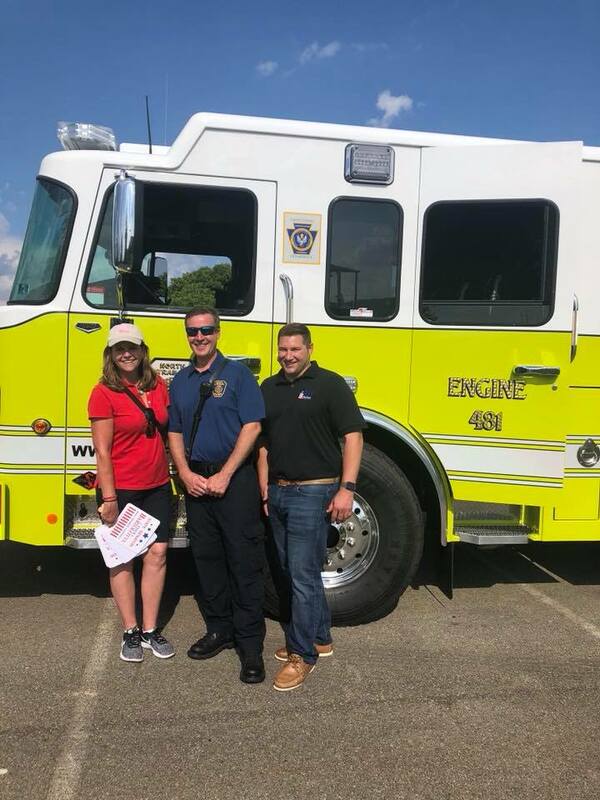 It was great to meet so many police and volunteer firefighters and emergency services personnel at the North Strabane Township Community Day.